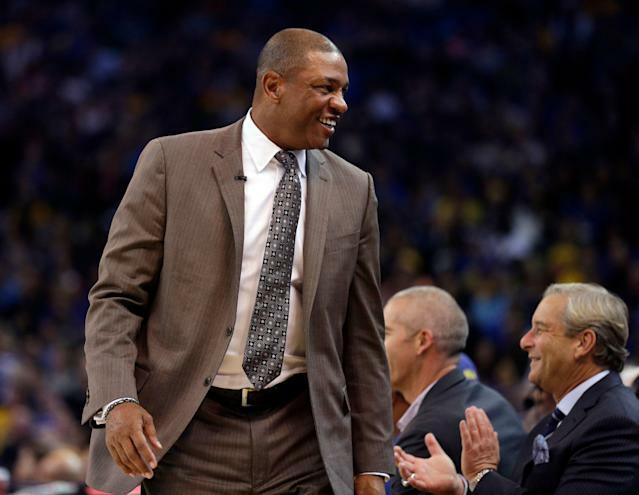 The Los Angeles Clippers may not stand a competitive chance in their first-round series with the Golden State Warriors. They entered the playoffs as the biggest first-round underdog of the century and didn’t do much to dispel that status in Saturday’s 124-101 loss in Game 1. But the trip to the Bay Area isn’t all bad for head coach Doc Rivers. Rivers told a story on Monday about almost losing $2,000 on the streets of San Francisco. But a good-natured stranger made sure Rivers wasn’t parted with what apparently accounts as walking-around money for the Clippers coach. The Good Samaritan apparently didn’t stick around to be lauded for his good deed. Rivers said the man ran away before he had a chance to repay the altruistic act. While it appears the stranger wasn’t seeking a reward or accolades for his kind act, Rivers is looking out to make sure he at least knows he’s appreciated.